NF - If trade above 5223, pullback may be upto 5245 & 5275-5295. Trade below 5175 come down to 5140 & 5106-5098. HAVELLS - As per previous post, above 599 target 677, where as it went upto 674 from there it is coming down and now closed at 601. Now what next ? below 597, ongoing fall may end and take support at 585-580. BANKBARODA - As per previous post, correction target 618, it came down to 616 from there going up and closed at 640. Now what next ? Up trend continue above 642, take it to 653 & 673-677. RANBAXY - As expected, fall arrested at 436 (instead of 433) and closed at 446. Now what next? If trade above 453, take it to 464 & 473. AEGISCHEM - above 315, go to 325-330 and after that shortly going to attack 400. support 300 & 285. JSWSTEEL - If trade below 1215, come down to 1190 & 1157. 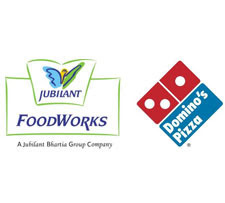 JUBLFOOD - As expected, yesterday formed the low 324. now what next ? Timebeing bottomed out at 324. If trade above 338, last hurdle 347-350 after that next attack 375 & 392.